UPDATE 13.11.2014: The routes described below have recently been so unreliable as to be virtually useless. I'll leave this page up for archive purposes, but until First start caring about providing a reliable service to Portishead, I can no longer recommend using these particular bus services. The routes between Bristol and Portishead were revamped early this year to provide a more co-ordinated service along that corridor. 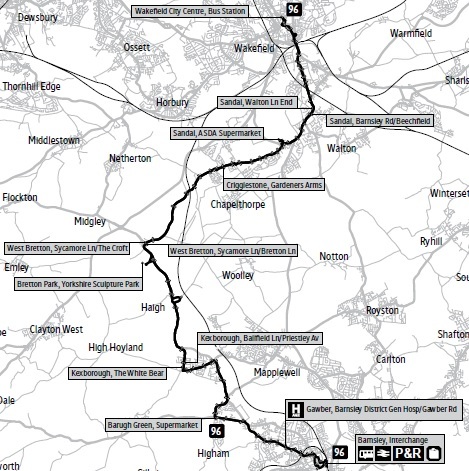 See the animation here to understand which way each route goes. Brand new buses are being used with comfortable, leather seats and free wifi. There is some stunning scenery on the route, so why not give it a go? These routes are operated by First, but don't let that put you off. Click here to discover other bus routes across the South West. On 4th November 2013, the timetable on these routes changed. The evening/Sunday 23 disappeared and the X2 & X3 now also run evenings and Sundays to a higher frequency. Check the timetable on First's website before you travel. 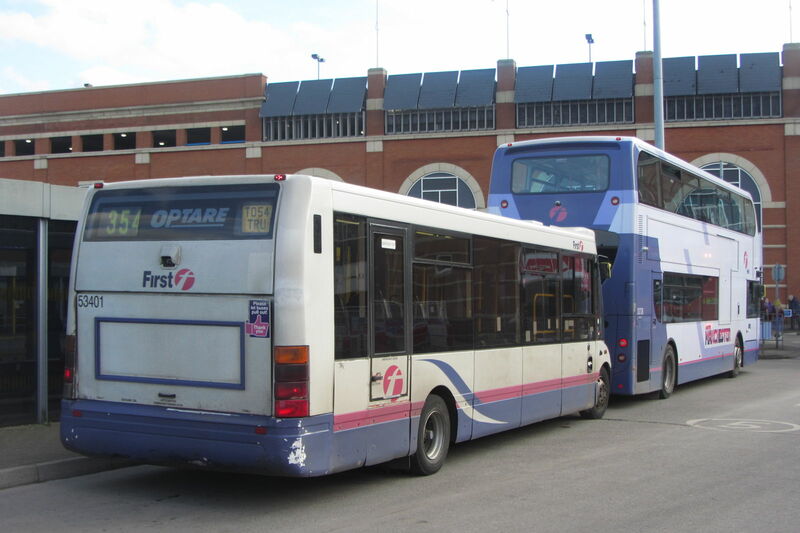 See a suggestion of ways these routes could be improved with faster journey times between Portishead and Bristol over on Portishead Bus Update. The proud, historic city of Bristol must surely be England's most beautiful big city. There's a sense of space and grandness that you just don't get in the post-industrial cities of the Midlands and North. Plus there's a laid-back air that you will struggle to find in London. While in Bristol, why not visit the SS Great Britain? Or the At-Bristol science museum? This small village is an overspill of Clifton, made possible by the awe-inspiring Victorian Clifton Suspension Bridge, just a short walk away from the bus stops on Rownham Hill. Coming from Bristol, get off here for the Bridge and follow the blue line walking back towards Bristol then left at the lights. This is the stop to head back into Bristol. The Bridge is right at the lights. This thing has to be seen in the flesh to be believed. Also nearby is the Leigh Woods Nature Reserve. Next we pass through Abbots Leigh and then the routes divide. The X2 and the 23 run via Pill and Easton-in Gordano, while the X3 whizzes along the A369. We finally arrive in Portishead, with the X3 running via the regenerated docks area, now known as Port Marine. The X2 goes direct to the High Street. The 23 serves Port Marine, but only towards Bristol. I should mention that Portishead the band are still going strong. Portishead is a lovely, relaxing, coastal town with a thriving High Street and beautiful marina. One highlight not to be missed is a drink in the Windmill Inn on Nore Road, with views across the Severn Estuary to Wales. All of our buses from Bristol stop on Nore Road, right outside the Windmill. See the full timetable for the X2 and X3 on First's website here. There's a bus every 15 minutes Mon-Sat daytimes and every 30 mins evenings and Sundays between Bristol and Portishead, with half of the buses running via Port Marine and half via Pill. Traveline's timetables include a full stop-by-stop route listing. Click for the X2/X3. The cheapest day ticket valid for the entire route is a FirstDay Bristol Outer at £6.00. If you'll also be travelling outside the Bristol zones, then a FirstDay South West at £7.00 will take you further. If you need to use another company's buses as well as First and you'll be travelling within the former county of Avon, then the AvonRider at £7.20 is the ticket you need. If travelling within Avon but you also want to use the train, then you need a Freedom TravelPass, which costs £10.60 off-peak (after 0900 weekdays, anytime weekends) for the Bristol and Bath zones. If travelling by train from outside Bristol, then you can buy a Bristol Plusbus with your train ticket, which is valid on routes X2/X3/23 from Bristol Bus Station as far as Blackmoor Road in Abbots Leigh, but not any further towards Portishead. It can also be used on any other bus within this zone. Map of routes X2/X3 and major connections. Not to scale. Red routes are operated by First. Green routes are run by other operators. Bristol has a comprehensive bus network. For an overview, see Travel West's Greater Bristol bus map. If only travelling with First, use their Bristol route maps to work out where to go. The X2/X3 don't serve Temple Meads railway station. If you need to go there, use First routes 8, 9 (stop CG) or 70 (stop CQ) to connect from The Centre. Alternatively, it's a short walk. For trains to and from Temple Meads, click for live departures, departure list and fares. See the North Somerset council bus map, which covers Portishead, here. First's local route map for Portishead is here and their North Somerset map is here. UPDATE 13.11.2014: The routes described above have recently been so unreliable as to be virtually useless. I'll leave this page up for archive purposes, but until First start caring about providing a reliable service to Portishead, I can no longer recommend using these particular bus services.